The property is remote, so I was grateful it was there. Room was a good size. Everything is close and compact. Good Telstra network. I liked that it was clean and quiet and the beds were extremely comfortable. The buffet for dinner was a reasonable price with a nice array of food. Close to all things on Fraser. We are always coming to this resort when we coming to Fraser, easy access good spot nice rooms and good value. Buffet dinner was enjoyable and good value for $24. Staff were friendly. Room and facilities are old and basic. The price/quality is therefore out of balance in my opinion. Lot of noise and the beds are also not very comfy to sleep on. 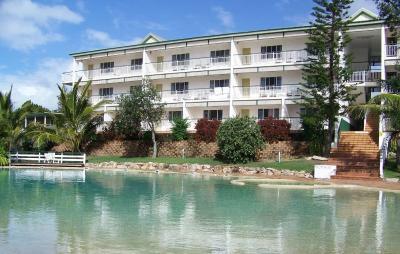 Eurong Beach Resort This rating is a reflection of how the property compares to the industry standard when it comes to price, facilities and services available. It's based on a self-evaluation by the property. Use this rating to help choose your stay! All hotel rooms have tea and coffee making facilities, a bathroom, telephone, TV and private balconies or shared terraces. Eurong’s restaurant and bar serves buffet and a la carte meals daily, and overlooks the large free form swimming pool. When would you like to stay at Eurong Beach Resort? This room features a TV, a private bathroom and tea and coffee making facilities. This beachfront apartment has a spacious living area and a full kitchen. Please note this room is not serviced daily unless requested. This room has a balcony and heating/air-conditioning. It also features tea and coffee making facilities and a private bathroom with a hairdryer. This apartment features heating/air-conditioning, a balcony and a dining area. - Return ferry transfer for 1 4WD vehicle (for 2 guests, including the driver) on the Fraser Venture Barge. Guests are able to choose from services departing at 10.15 or 16:00 to Wanggoolba Creek and at 9:00 or 15:00 from Wanggoolba Creek. Preferred departure time should be advised at the time of booking. If a departure time isnt advised, the first available services will be booked by default. If the requested departure time isn't available, the next available service will be confirmed. For more information, please contact the property using the contact details found on the booking confirmation. This apartment has a balcony, stovetop and microwave. 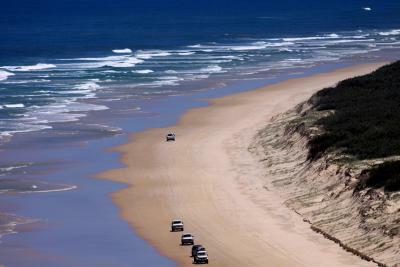 - Return vehicle ferry transfers from ex River Heads, Hervey Bay to Wanggoolba Creek on Fraser Island for one standard 4WD vehicle and up to 2 people (including the driver) on the Fraser Venture Barge. Guests are able to choose from services departing at 10:15 or 16:00 to Wanggoolba Creek and at 9:00 or 15:00 from Wanggoolba Creek. Preferred departure time should be advised at the time of booking. If a departure time isn't advised, the first available services will be booked by default. If the requested departure time isn't available, the next available service will be confirmed. Return tickets cannot be used on any other service other than the Fraser Venture Barge. Unused components are nontransferable and nonrefundable. House Rules Eurong Beach Resort takes special requests – add in the next step! Eurong Beach Resort accepts these cards and reserves the right to temporarily hold an amount prior to arrival. 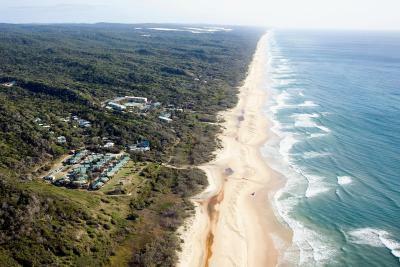 Please note Eurong Beach Resort is only accessible by 4WD vehicles. 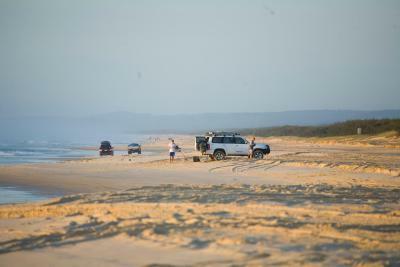 A vehicle access permit is required for all vehicles coming onto Fraser Island. These can be purchased from the Ticket Hut at River Heads or from the Shell Service Station, Rainbow Beach. 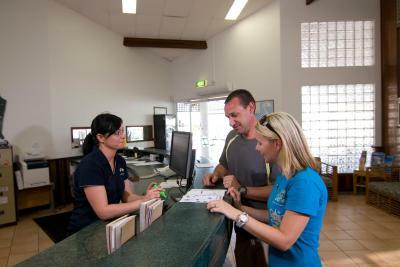 Guests without their own 4WD vehicles, are required to hire one before arrival at the resort. 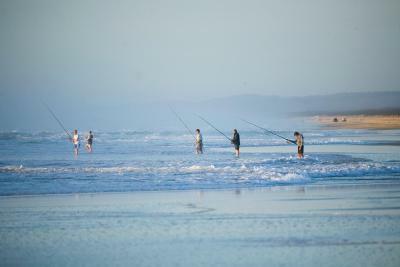 The island can be accessed by vehicle barges that operate daily from River Heads, south of Hervey Bay, to Wanggoolba Creek. If arriving via River Heads, you must book a space on the vehicle barge ferry in advance. From the Sunshine Coast via Rainbow Beach, the Rainbow Venture barge is on demand between Inskip Point and Hook Point between 07:00 and 17:00 and bookings are not required. Please inform Eurong Beach Resort of your expected arrival time in advance. You can use the Special Requests box when booking, or contact the property directly using the contact details in your confirmation. I was expecting to be able to cook my own meals and was disappointed that this facility had been taken away. Also we did not have a lounge, lounge chairs, table or chairs to sit on in our room. If we wanted to sit inside we had to sit on the beds. Kitchen facilities not working...stove. used bbq so all good. Work going on during times we wanted to relax....gardening,bobcat, dragging carts along landings outside your rooms. I realise you have to maintain the place but it was annoying. Bed a little too soft. -Extremely disappointed for the price we paid per night ($230) -The place is so outdated it’s on par with a 3rd world budget hotel, I’ve travelled 23 counties trust me it’s not worth it -Room is extremely basic and budget, run down and dilapidated -Our bedsheet does not even stretch over the entire bed, we ended up sleeping on the horrible mattress the entire night -The rooms have a full kitchen that has had the gas cutoff and a sign advising you that you can no longer use the kitchen area, they don’t even so much as provide tea and coffee in their extremely expensive rooms with a disabled kitchen that can’t be used -Nothing is included in the price, breakfast, lunch and dinner must be paid for and it’s expensive. I would absolutely advice staying elsewhere and not supporting these outrageous prices at a place that’s meant to be public property, Fraser Island. How this resort chain came to own this island and charge ridiculous prices for sub-par accomodation should be a royal enquiry. Cooking facilities removed from unit. We arrived with food to be cooked and had to share our friends' kitchen on level 2. In total there were 7 people using one stove. My other friends (also on level 1) have stayed here before and expected there to be cooking facilities, but there was no notice that this had changed until we saw the note in the unit. A lot of mould on bottom of shower curtain (I have a bad sinus reaction to mould). Moved a chair to watch TV and it was very dirty behind - hasn't been cleaned for some time. Conditioner dispenser shot sideways into adjacent wall - I looked underneath and it was full of old, dry conditioner gunk that was blocking the hole. Freezer desperately needs defrosting. Could barely fit anything in. Friends complained that their mattress was significantly sunken in the middle and that they had no plug for the sink to wash their dishes. We've stayed at Eurong Resort every year for the past few years and always enjoyed it. Unfortunately this trip fell short of the usual and it feels as though the maintenance is no longer there. On arrival to our room we noticed the self contained room no longer had cooking facilities for WHS reasons (stove top or microwave) which we weren't prepared for as it has always been offered in the past. They have also removed kitchen items such as large dinner plates and basic utensils. The bedding was uncomfortable as the mattress is in need of replacing. We've always relied on the bakery for its yummy fresh bread each morning but this time it was stale. We would always dedicate 1 night at the restaurant to support the resort, this is becoming more difficult as they have really simplified the menu to either buffet or 2 alacarte options. Sad to say we will be looking at a house next year instead of sticking to our usual favourite. No Air conditioning. All rooms are not Air conditioned which I found quite strange.